Lipid science and technology has grown exponentially since the turn of the millennium. The replacement of unhealthy fats in the foods we eat, and of petroleum-based ingredients in the cosmetics we use, is a top priority for consumers, government, and industry alike. Particularly for the food industry, removing trans fats and reducing saturated fat in foods has produced a major challenge: How do we create structure with a minimum amount of structuring material? 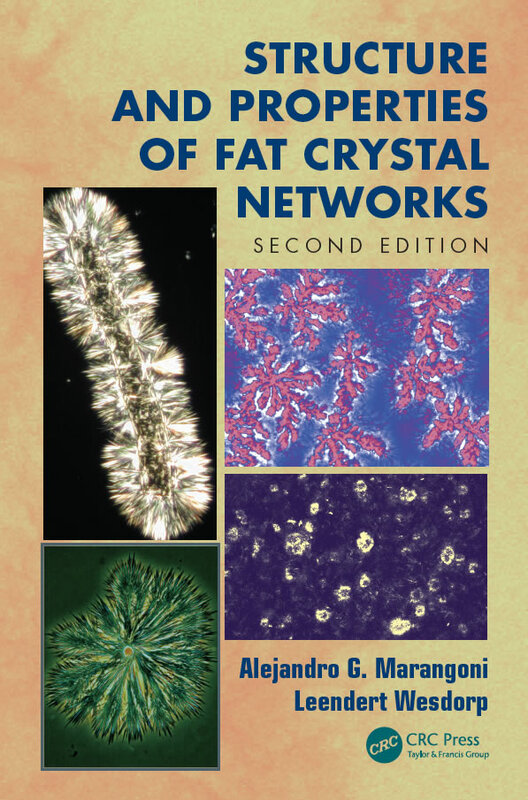 A comprehensive omnibus, Structure and Properties of Fat Crystal Networks, Second Edition clarifies the complex relationship between triglyceride composition of vegetable oils and fats, the physicochemical properties of triglycerides in simple and complex model systems, their crystallization, and melting behavior. Furthermore, it dives into the implications of these materials on the functional properties in food systems.